What was that early 60s Coney Drive-In? Anyone remember the Kon-Tiki on Admiral near Yale? A big Tiki head statue with lit-up eyes stood in front of a thatched tiki hut/bar. This would have been in the early 60s during the general exotica craze. Does that sound familiar to anyone? One odd little building that may have had a tiki theme is just west of Sheridan on the north side of 11th (actually, west of Yale and Admiral, and on the south side...webmaster). It is round with a simu-thatch roof. It is repainted now but at one time it had a definite grass hut look. It has been a used car lot for years, maybe always, but maybe someone knows the origin. Webmaster, you are still in Kansas. 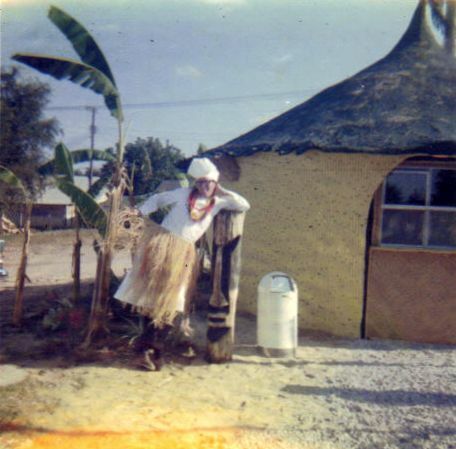 There was indeed a tiki lounge complete with thatched roof and that statue you mentioned. It was on Admiral between Pittsburgh and Yale on the south side of the street. I remember the Tiki on Admiral. As an child Eastsider from the 60s-70s, it was one of the landmarks I remember when we went up Admiral to go Downtown. As I remember, the Kon-Tiki on Admiral had some pretty good coney dogs. Now, not in the class of the Coney Island downtown or even Jim's Never On Sunday, but pretty good nevertheless. Webmaster: The coney drive-in's name was Kon-Tiki Koni at 4418 Admiral Place, and first appeared in the 1961 phone book. The giant Tiki head near the street was at least 7' tall and a garish orange-ish color, as I recall. Former Tulsa Police officer Tom Lester once told me by phone that colored light bulbs served as the eyes, one red, one green, flashing alternately. South Seas music blared from a speaker in its mouth, occasionally prompting someone from Rose Hill Cemetery across the street to ask for the volume to be reduced. (Maybe they were afraid it would wake the dead.) Lurid smoke issued from the nose and eyes of the giant Tiki. All in all, it was a bizarre, spooky sight for a youngster to see at night from the windows of his parents' car. And now, answers from the original Kon-Tiki Koni builders! And, do you remember the Kon-Tiki-Koni Hot Dog Stand out on East Admiral Place, across from the cemetery? My brother and Jim Lester (brother to Tom Lester of the Tulsa Police Dept.) built that thing and I ran it for the first 6 months it was in business. I loved it, and the hot dogs were fantastic. We used chili from Ike's downtown. Do I ever remember it! I've been looking for a photo of that giant Kon-Tiki Koni head for years. I have talked over the phone a few times over the years with Tom about it, and the May Rooms. My brother, Mack Bettis, was assistant County Tax Assessor for many years there. He collects and sells fiddles/violins and was the original builder/owner with Jim Lester. In fact, it was his idea after being in California and seeing all the Tiki motifs there in the 50s. Jim rented a place on about 11th and Yale that used to be a jewelry store and that's where I stayed while running the hot dog stand. Jim and Mack had full-time jobs at the time and they had me run it when it first opened. The place Jim had was lined with mirrors (jewelry store thing) and I'd wake up in the night and get scared sh*tless at the light refraction and such. They bought a ton of banana palms and planted them around. The first frost took them all out. We also had loudspeakers in the head, as well as on each side of the hut. 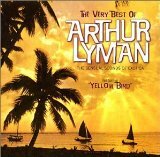 About all I played was Quiet Village by Arthur Lyman. I loved that job more than any I ever had, before or after. Memories!!!! Yes, Jack is right on origin. My wife and I had just been to L.A. that summer and the tiki heads were the rage everywhere - -all things new and strange and different started on the West Coast and "moved" this way. So when there, we knew what we would be seeing here and around in a while. Jim was a Fraternity brother from Broken Arrow when we all went to Northeastern in the early to middle 50s. We always sort of played off each others' energy or wild ideas and did a lot of things. Jim had been a manager of props and art work at Channel 8 on Lookout Mountain just before and was looking for something else to do. He literally had talent to burn -- could and would try anything. Jim had a saying that has served me well in years following. It was "If you got enough guts, s--t will do for brains." Jim proved that many times. He would have been a great and famous Carney Barker and could sell anything. Would help anybody anytime. A great guy with the most creative talent I think I have ever known. We talked about the idea for awhile. Then, Jim found a concrete slab at that old Admiral location on a vacant lot. A Photo Company that did school photographs was next door to the east. Jim was a pro and card-carrying metal lathe worker, since his dad was a lathe contractor for many years, he worked summers and off time doing that. That is what we built the hut with: angle iron and concrete! We drilled holes and put up an 8 inch oil field pipe in the center. Then drilled and made a rounded bottom of steel angle iron used in metal lathe work about 8 or 10 feet out and around from the center pole. The ring was inset from the top so it would be like little South Sea huts of Palms and bamboo with sides sloping out as they went upward. We came up 8 feet and made a larger ring of steel metal angle material, tying each together with strong steel wire. It was about 2 feet bigger than the bottom. Then -- we used the same steel angle material and went from top of center of pole sloping from top out and down and hanging over the edges of the top of the outside wall in uneven pieces. We were hedging our bets on the fact that we knew when we covered from the bottom up, the concrete would cover the metal lathe and we covered it all over completely -- the concrete would dry and be strong enough to support and be almost a bomb shelter. To make the sides look like bamboo, Jim used an 8 inch piece of flat metal and cut scallops in it, so we could drag it down the outside of the last coat of the layered concrete and it would look like bamboo -- half rounded bottom to top -- and a little push inward at intervals would suggest the joints in the bamboo which we then painted yellow bamboo color. The top was covered with concrete the same way but we left the ragged, uneven edges overhanging the sides like palm leaves and painted it green like palm leaves. Not stopping there, we got another slightly bent piece of oil field 8 inch pipe and stood it up over and behind the hut and tied angle iron pieces coming out all directions around the pipe, then attached to angle iron, actual palm leaves to we bought at an artificial flower and prop store on 11th Street. We painted the dead actual palm leaves green and arranged them in a reasonably life-like fashion as you remember seeing. It was done and needed an eye-grabber! Attention! A super Movie-like almost surreal scary Tiki face out close to Admiral Street that no one could miss! It too was pipe and all angle iron and metal lathe and concrete covered. If you recall, in addition to the unworldly colored eyes and lights in and around it -- we had a back door -- kept locked to it where we would burn our burnable trash and logs we would find and bring in and let the smoke billow out the eyes and mouth and nostrils of the terrible looking face. We expected the fire department to stop us on that but assured the inspectors that concrete couldn't burn and was locked up tight! We pulled a lot of such "management decisions" out of our backside that way. Downtown Coney Island dogs by Mike Bruchas. Coney Island Flickr set. Mock Coney Island Coney recipe by Scott Linder. We had eaten a lot of the Downtown Coney Island coneys to look, watch and learn how they did it. Then got a used bun steamer and gas grill and opened up. We used El's buns -- he was a brother to my mother's cousin from Stigler, and he agreed to add a bit of yellow food coloring in the dough so we could tell our customers the yellow ones were "richer" than the white ones! It worked and many told us how much better they were! Power of suggestion! Ikes's chili couldn't be beat so we didn't try -- just bought bricks of it frozen in a grocery store and heated it in my wife's crock pot for the coneys. 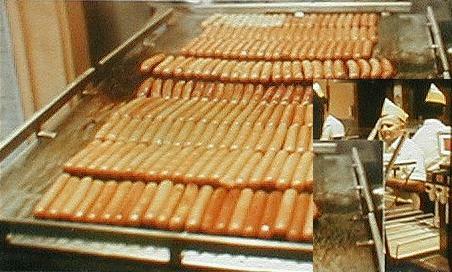 As Jack said -- Jim and I worked and Jack ran it that summer and much of his pay was all the coneys he could eat!! And he crashed at Jim's little pad on 11th Street nights. After enjoying about all we could stand night and day - -Jim and I had to make a change. I was transferred to Oklahoma City and Jim moved on and we sold it. It was a fun and learning experience. And still -- there is nothing I enjoy more than a couple of coneys at one of the Original Coney Island restaurants. Whoever tore it down later for "progress" did a great historic disfavor to Tulsa and its skyline. That's the full story -- undoctored. No way I could top fact on that one. I'll correct/add that the "angle iron" was steel channel "iron" as structural steel skeleton for the metal lath which became the frame. At that time, all significant commercial buildings had their interior walls, and usually ceilings, composed of lath and plaster. Dad (Jim, Sr.), Jim (Jr.), Tom, Bill and I were all metal lathers, the latter four doing it to get through Northeastern, etc., the former to feed a family of seven boys! The "concrete" was stucco which was applied over the metal lath like plaster was done indoors. It could be colored or "artistically modified" as Jim was so talented to do. I remember the smoking head and the yellow bun hot dogs and they were great! As I recall, it went out of business because the help ate up all the profits! While it was a short-lived experiment (and today would have been franchised! 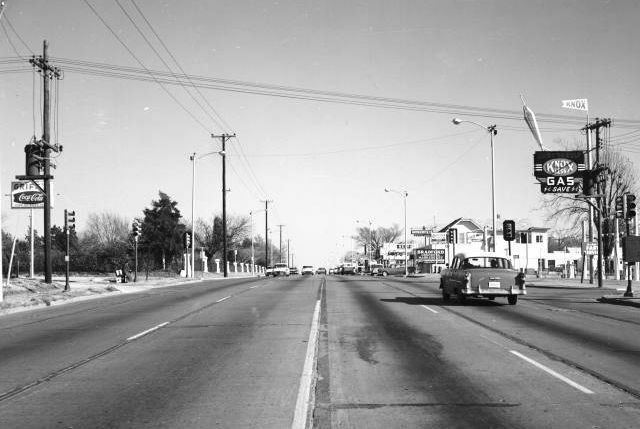 ), it was a memorable part of Tulsa's past. Thanks Pat for technical authority -- I just did the 'grunt' work but actually got pretty adept at looping and hooking and tying off the wire ends and nipping them off to tie the steel together as well as the lathe. By the end of the day I was ready to not apply for a Journeyman's Card though. For some reason we didn't seem to think pictures -- even as much as Jim was into promotion and advertising. We just didn't get that far down the road toward franchise. But we had the first Coney Drive In, in all Tulsa and area that I am aware of for sure. I'm glad to remember and re-think it, since it was a young and carefree time of youth-even-tho'-adults!! So much of it was a seat of pants thing which was pretty common for us -- serendipity would take over and from there we would just run with it!! I can't stress enough tho' -- Jim Lester's talents. I always felt cheated in that he was so prolific at any crucial time of need -- but we did co-generate a lot of things and enjoyed every minute of it -- even tho' so much of it was indeed very labor intensive work. For one thing not said: Rex Brinlee, who went to Big Mac Prison for several things of capital offense, was our worst decision -- someone recommended him as a plumber for us. He was good, but really hi-jacked us on price after earlier much lower quote that we couldn't afford to fight. Best guess -- absent memory, is Summer 61. It would have been early Summer or late Spring. Surprising haw fast it went after starting. With the concrete slab there -- we just set the 8 inch pipe in center in concrete, hauled in the steel frame and wired it together except welding for steel spokes up near top as bracing and to let top set on. Soon as the frame went up, we tied the irregularly-shaped, expanded screen-like metal lathe and it was built. The covering of concrete-like plaster was ready to trowel on by layers -- Jim's Journeyman's easy job. Again, I was the grunt in fetching and helping. Door in back for regular use, and serving door in front was in two halves Dutch-type -- 2 required for code requirements for exit on both front and back. Bottom half of front door was and held the service counter with night and weather door that closed over the top serving counter. If I feel I can do it justice and no picture shows up -- I will attempt a crude -- yes, crude drawing of the stand and the face is harder to remember in any detail. in the Google Streetview of the address (ignore the slightly-off addresses shown at Google & look for Moritz Machine Shop). Admiral Pl. & Pittsburg on the left; the Kon-Tiki Koni location at the right. Use this map with 1960 pic below. built until 1961, and it would be just out of view in this pic, but this photo shows you what the nearby area looked like. Courtesy of the Beryl Ford Collection. By 1968, the site of the Kon-Tiki Koni had become "Kon-Tiki Motors", a used car lot. On to the Tiki Nook!